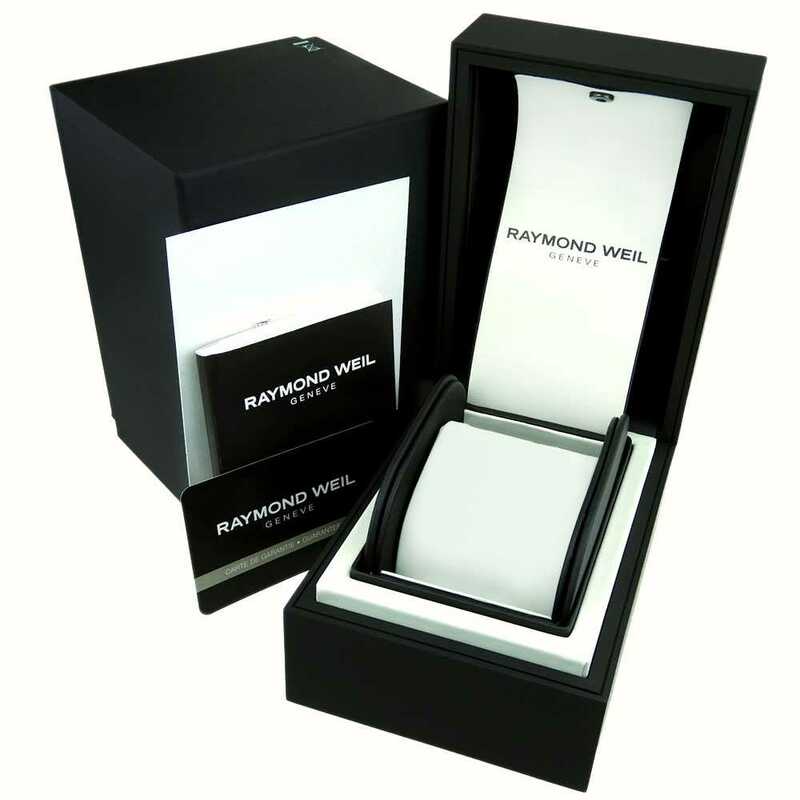 Such an exquisite creation from Raymond Weil with every component perfectly integrated in to a extra-clean design. 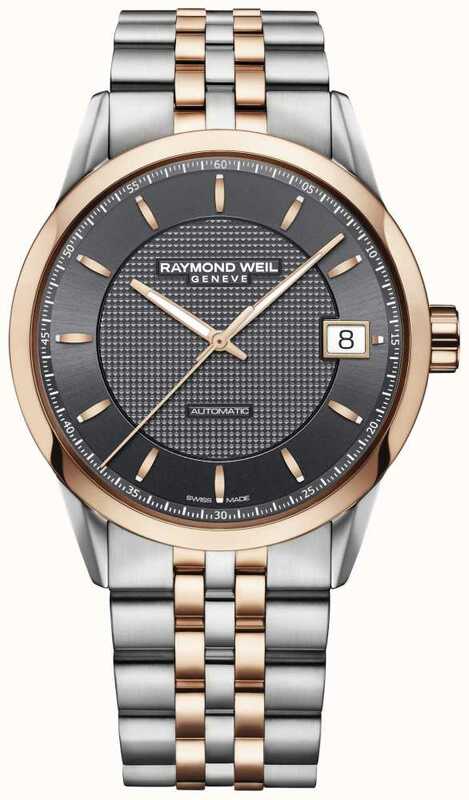 The two-tone grey and rose-gold only makes things more exceptional, showing the clean lines with a rich contrast. Features date display, automatic movement, glowing hands.